When the open road is calling your name, there is no better vehicle to take out than the Jeep Wrangler. A trusted American SUV, the Jeep Wrangler has been pounding the streets since 1986. Climb every mountain and traverse each valley in the tough Wrangler from Jeep. The streets of Tyler, TX will be no match for you once you saddle up in this SUV. Get the absolute most of your Wrangler experience with a cool comfort that embraces you along the journey. The classic body style of the Jeep Wrangler has stood the test of time and looks as great today as it did in the 80s. However, the Wrangler has been modernized with options like the Sahara model or Rubicon. The Sahara is a refined version of the popular SUV, while the Rubicon is the most rugged on the road. No matter what you choose, you’ll be styling throughout your entire trip. The Jeep Wrangler has definitely been built with safety in mind and will have no issue taking on the rough outdoors. Safety and tech work together in the Wrangler to deliver a stellar SUV for you, your family and your friends. The Wrangler is made with super powerful steel that will protect what matters most. Plus the addition of numerous airbags throughout the cabin gives it added security. You’ll also be able to utilize rear back up camera which will act as a second pair of eyes along with ParkSense rear park assist functions. The Jeep Wrangler is known for its performance, taking on obstacles with ease. Doesn’t matter if you’re up against rain, snow, rocky terrain, mud or hills, your Wrangler will tackle it all. With added traction built in, the Wrangler grips the road in unpredictable conditions. You’ll also be able to take your Jeep Wrangler off-road, an added bonus of this sport utility vehicle. 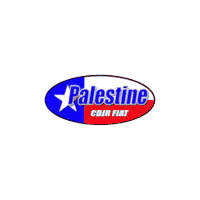 At Palestine Chrysler Dodge Jeep Ram, we put the customer first. We have a state of the art facility near Tyler, TX that has everything in one spot; sales, finance, service, and parts. Let us take care of all your Jeep Wrangler needs. We truly believe that you are the best part of our business and without your support, we wouldn’t be here. That’s why we treat every single person who walks through our showroom doors with the highest level of respect. Deciding that the Jeep Wrangler is your next vehicle is the hardest part because once you have your heart set on this SUV, Palestine Chrysler Dodge Jeep Ram Fiat makes the rest easy. When you visit our dealership, you’re working with the best team around Tyler, TX and you’ll want to come back time and time again. Stop by and see us Monday through Saturday for an elevated vehicle shopping trip and soon, you’ll be back out on the road in your new Jeep Wrangler. Where Will Your Wrangler Take You? The Jeep Wrangler exudes adventure. Once you pick out the one that meets your lifestyle, where will you go in your Wrangler? With this fun to drive SUV, the possibilities are endless. 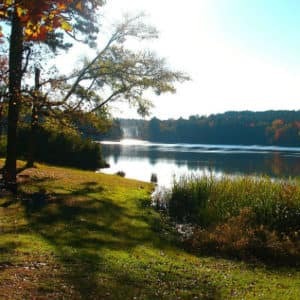 Will you take on camping and fun in the sun at Tyler State Park? Imagine where this SUV will take you in the Tyler, TX area.